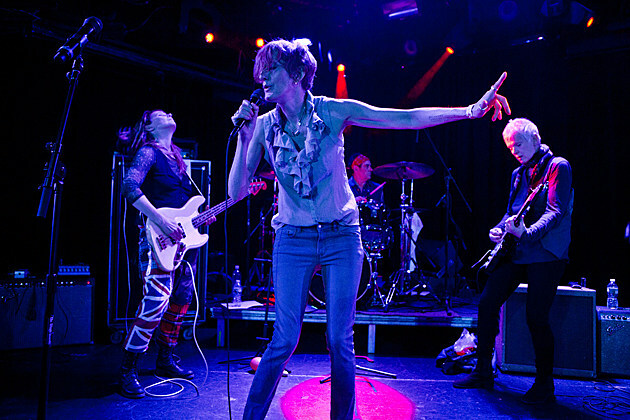 NYC post-punk/no wave legends Bush Tetras will celebrate their drummer Dee Pop’s 60th birthday with a hometown show on March 14 at Bowery Electric. It’s with the prolific guitarist Gary Lucas, plus Faith, Floor Kiss w/ Deerfrance, Immaculate Hearts w/ Freddie Pompeii, Aaron Blue and the Bootleggers, Private World, Dennis Driscoll and Jam Messengers w/ Rob Kennedy. Tickets are on sale now. In related news, James Chance, who’s performed with Dee Pop before, has an upcoming hometown show too. He and his band the Contortions play Market Hotel on April 29 with cult legend Gary Wilson playing a collaborative set with 14-piece Boston soundtrack-y ensemble Tredici Bacci (led by ex-Guerilla Toss member Simon Hanes), plus Baltimore weirdos Horse Lords and avant-popster Eartheater (good bill all around). TIckets are on sale. Eartheater also tours with Sarah Neufeld ahead of that show, and she just made a new NSFW video for “Homonyms.” Watch it below.